LONG BEFORE he created excitement at his official launch on April 4 as the Unity Labour Party’s (ULP) pick the Central Leeward seat, Orando Brewster was carving out a name for himself as a leader and all-round community man. His speech at last week’s rally to mark the 18th anniversary of the ULP in government was so enthusiastically received that many considered it among the high points of the event. Brewster, who is also affectionately called “Randy” by people in the community, grew up in the Central Leeward town of Layou in an area called Texier Road. In an exclusive interview with SEARCHLIGHT on Wednesday, the 32-yearold spoke of what it was like growing up in a two-bedroom house that was home for 10 people. 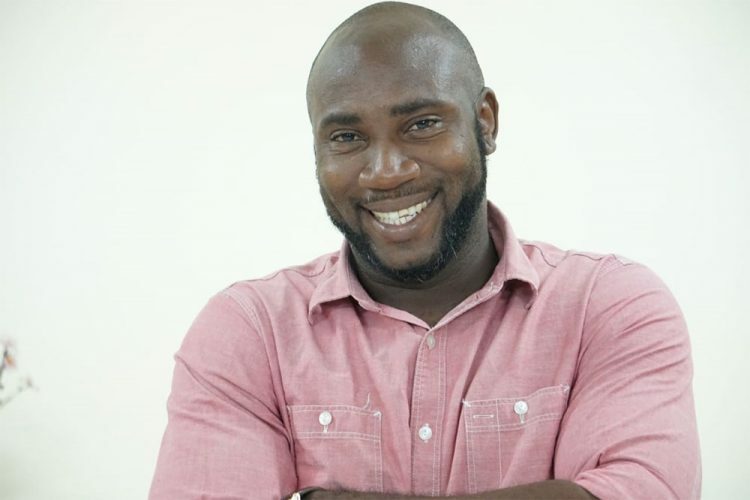 Throughout his schooling, first at the Layou Government School, then the St Vincent Grammar School and St Vincent and the Grenadines Community College, Brewster was heavily involved in sporting activities and he is a former national athlete. In 2005, he began his working life as a teacher of Integrated Science and Physical Education and taught as many as six subjects before he migrated to the United States after four years. While in the United States, Brewster rekindled his love for the sciences and began attending the Medgar Evers College, pursuing pre-med studies. But with tuition fees of up to US$7000 in the height of the financial crisis, Brewster found himself working odd-jobs to make ends meet. Since that experience, he returned home to St Vincent, transferred into the All Saints University, where he served for one year as the president of a student body. He is currently preparing for his exit assessments in June when he will officially become a doctor. And the doctor-to-be is hoping that he can capture the hearts of the Central Leeward people and take home the seat for the ULP in the upcoming general elections. He particularly believes that his involvement in politics will allow him to reach an even wider cross-section of people than he would just being a medical doctor. “I do believe that if persons with good morals and values be on the front line in the political arena, we would not have such divisiveness in the country and…one of my favourite Bible characters was David. He was young, he was in the back of the wilderness, everybody forgot about him and he was called up to serve. I do believe that this is a great opportunity for me to affect many lives, not only those who are medically in need,” he said. Brewster played an instrumental role in the 2015 General Elections as the president of the Central Leeward Youth Arm of the ULP and was able to rally a significant amount of youths from Barrouallie, Layou and Buccament to cast their votes. The father of two expressed a passion for the youth and education and told SEARCHLIGHT that his home has an opendoor policy as he and his wife spend a lot of time helping youths in the community with homework or any other requests. And he is confident that he will not only be able to return the Central Leeward seat, but also that the ULP will win the next general elections and form government for another term. The budding politician said that his character, value and belief in family among other things make him a key asset to the people of Central Leeward. He added that he interacts daily with the youths of Central Leeward and also the elderly and his career in politics has less to do about him and more about the people. Brewster said that under the ULP, he has seen structure and progressiveness and he sees extreme potential for Central Leeward, which includes two of the country’s towns, to be as bustling and fruitful for its residents once the ULP is elected for another term. 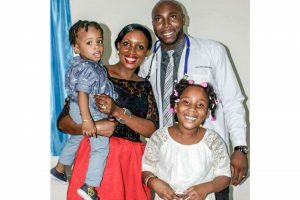 His wife, Latheisha Brewster gives credence to the saying that “behind every great man, there’s a great woman” as she says that she is willing and ready to work with her husband to see his dreams come to fruition. “I know he means well, his intentions are good for Central Leeward and I believe that the people are going to give him a chance. There is no question about that. He is going to win,” she said with a smile, her eyes never leaving her husband’s face. Latheisha believes that Orando has an opportunity to make a difference but that can only happen if he has the support of the communities of Central Leeward. She stressed the importance of prayer and called on everyone to keep him in their prayers. “We all know the history and all the negatives that are associated with politics. And being a man of faith, we have to pray for him and I’m appealing to all the Christians, it doesn’t matter what denomination, hold him up in your prayers,” she said. Outside of the political arena, the 32-year-old is a justice of the peace and an ordained minister in the Pentecostal denomination. And he intends to remain grounded in his values, to be humble and help to make a difference, not only in Central Leeward but in St Vincent and the Grenadines on a whole. “I don’t want to be the regular talking politician. I’m a man of action. I believe in getting things done,” Brewster said. The Central Leeward seat is currently held by Sir Louis Straker of the ULP who has held it for 20 of the last 25 years. Between 2010 and 2015, the seat was held by Maxwell Charles, also of the ULP.